Brush, pen, and ink. 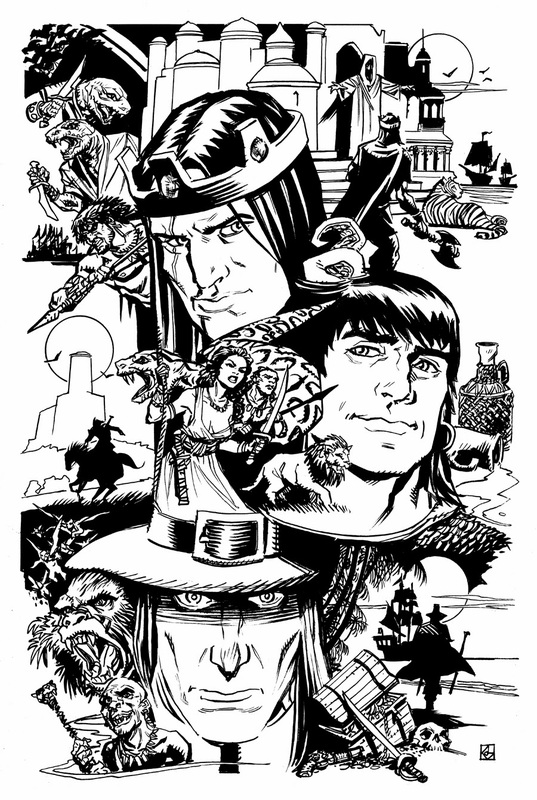 11"x17"
This was just a quick montage of the three most popular Robert E. Howard characters. A little doodle that got out of hand...I had so much fun thinking of little vignettes for each character I couldn't resist blowing it up.